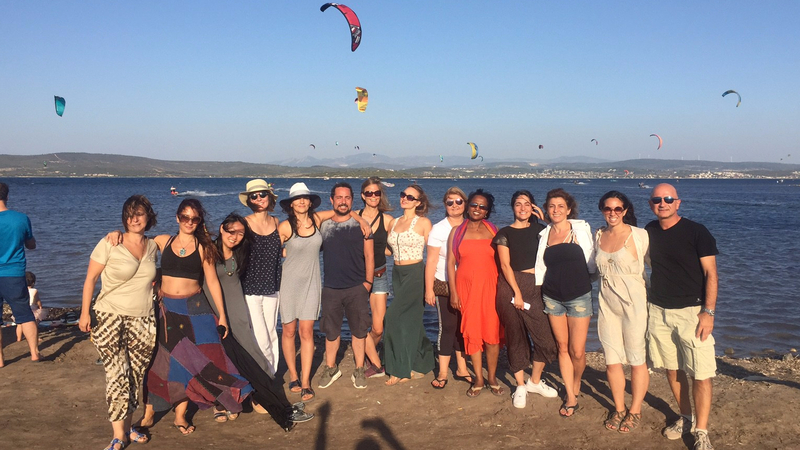 When thirteen women and five men from around the world met in Urla, a small picturesque coastal town near Izmir in Turkey, they did not know much about the purpose of their unusual gathering. They trusted their friends who invited them and their own gut feelings that this was going to be a transformative experience. 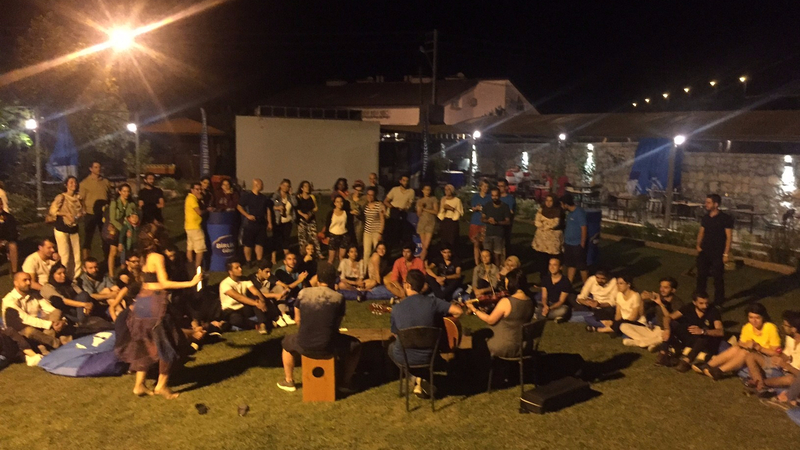 The invitation called the potential participants for a co-learning expedition in Izmir “to generate a nucleus of a new culture, a new language, a language of the heart, that is needed to reconstruct a new future.” Nineteen of them showed up in Urla Pera Hotel on 24 August. The first meeting at the hotel gave them an opportunity to share their passions and intentions as building blocks of a community yet to emerge. On top of their professions, participants described themselves as dreamers, change-makers, creative and strategic thinkers, problem-solvers and community-builders. Curiosity was their common denominator. They aspired a stronger mind-heart connection and a holistic approach to heal the individual and the society. In heeding TACT Agora’s call, Rahel Kassahun, Founder & Executive Director at Africa Unbound in Addis Ababa, expressed her intention as “connecting at a deeper level with like-minded fellows from around the world and to explore creating a space, a culture of new possibilities, authentic interactions, rituals and conversations for peace and sustainable progress“. Others shared their wish to find playmates and enjoy creative interactions like children would do. 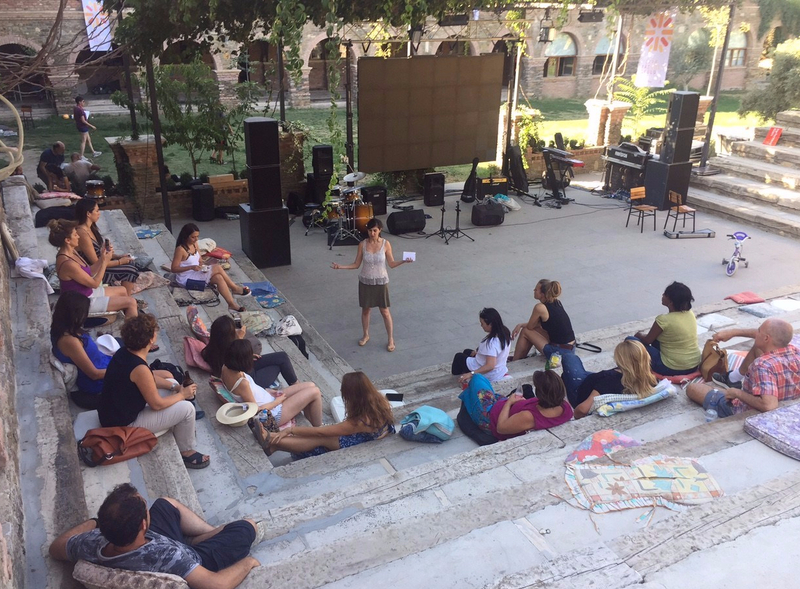 Feeling herself as part of a bigger creative force, Ahu Sıla Bayer, Founder of Act English in Istanbul, hoped to co-create a space to recharge her batteries and be inspired by the participants’ projects. Some would seek the inner voice to be true to themselves, to bring their light out, to see the invisible and hear the inaudible, others intend to connect the dots to inspire and help build bridges between the East and the West, like Ting Kelly, Founding Partner at Emergent Collective in San Francisco. All agreed that the world would be a better place if we could speak a language of love, joy and unity and that they were ready to engage in co-creating such a language to help address global issues. TACT Agora has been imagined as an eye-to-eye gathering space for a global community of change-makers to connect, converse and create together. It aims to inspire creative minds and elevate sensitive souls. It is a modern-day Agora, a place of exchange for what really matters, where we can excel our abilities to think and act together with tact, that is, with a sensitive mental or aesthetic perception. Agora will operate on trust and regenerate it through genuine human interactions. 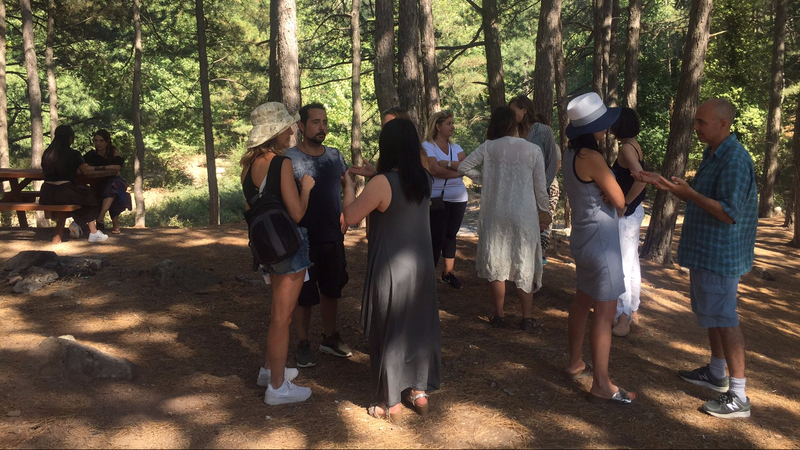 Those interactions have already started to take place during our daily trips to the selected inspirational places near Izmir. One such place was Karagöl, Tantalus Lake. 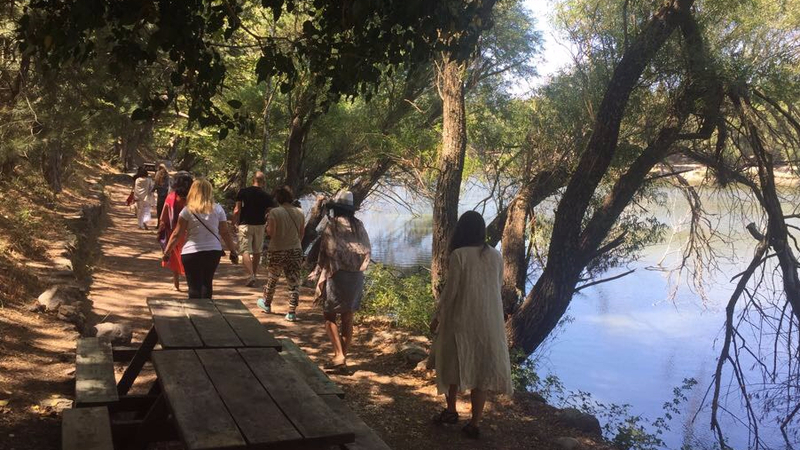 This venue was selected due to its beautiful nature on the mountains of Yamanlar, following the advice of Dahlia Maes, a musician and explorer of spiritual and shamanic practices living in Brussels. 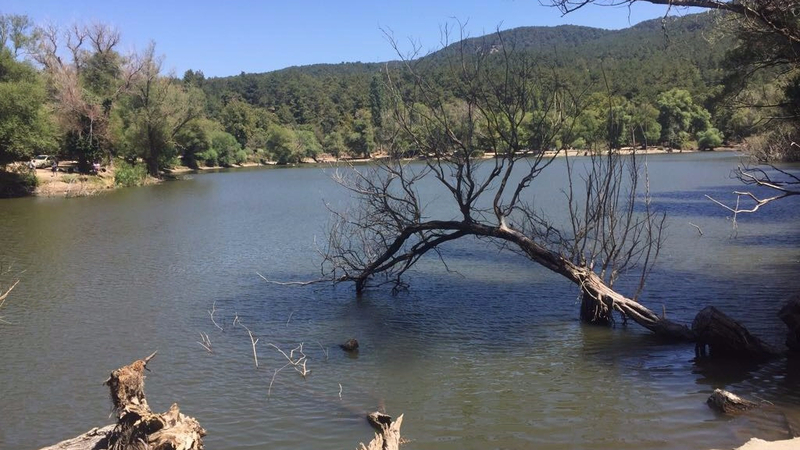 The lake also has a legend in Greek mythology which was relevant for the ideas leading to the formation of TACT Agora. Tantalus, son of Zeus and Titaness Pluto was the king of of Phrygia, as the intimate friend of the gods was admitted to their table. However, Tantalus abused divine favour by revealing to mortals the secrets he had learned in heaven, offended the gods by killing his son Pelops and serving him to them in order to test their power of observation and by stealing nectar and ambrosia, the food of the gods, from heaven and giving them to mortals. According to Homer’s Odyssey, Tantalus was punished by the gods and stood up to his neck in water, which flowed from him when he tried to drink it, and over his head hung fruits that the wind wafted away whenever he tried to grasp them (hence the word tantalize). There is a Tantalus in all of us. Our greed to pursue unlimited material benefits and our hubris to challenge every established norm, including those who are set by the ones who love and protect us could lead to our own destruction, like Tantalus. We can no longer live the way as we do. We have to change our mindset and the systems in which we live. The task for the change-maker is to meticulously build trust within and between our communities. We can’t betray the god inside us and pretend to stand on our own truth. What asset or resource exist today that is most undervalued or underused that can help resolve global problems? How do we support one another in our development and serve our common needs? 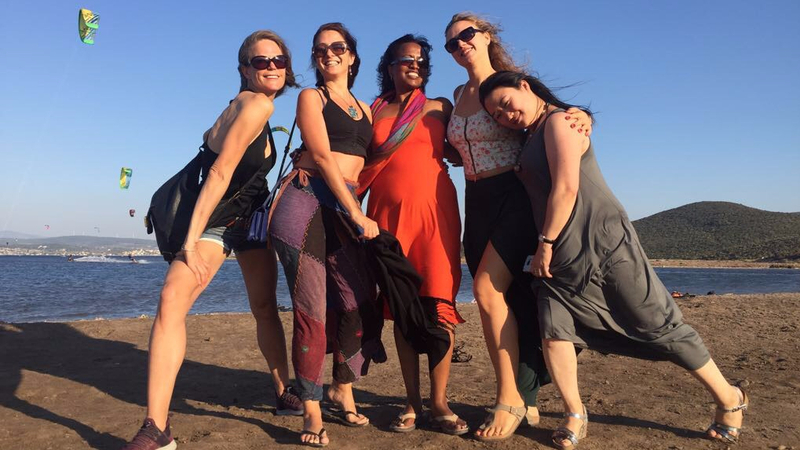 When we gathered together again in the same spot overlooking the lake under the trees, it became clear that trust was one of the most undervalued asset to cultivate genuine and creative human interaction. Many creative communities around the world share similar aspirations and intentions. What distinguishes the ones who thrive is the level of trust they gradually develop among their community members. Trust is the glue that holds the community together. It is the most important ingredient of a hospitable space where everyone feels home and eventually unleashes his/her authentic-self and creative potential. Trust is the most precious currency upon which all interactions depend. 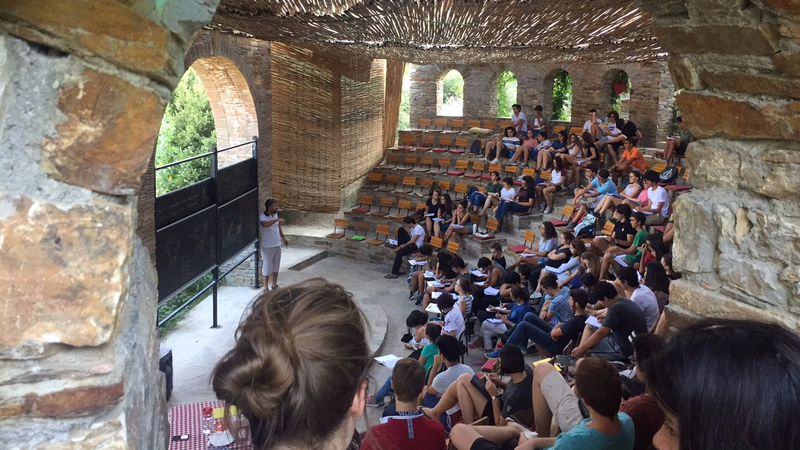 Another highlight of TACT Agora expedition was the visit to Theatre Madrasa in Şirince, an old Greek village which is very close to the ancient Greek city Ephesus. Madrasa is designed as an international centre for research, co-creation and performance arts. “Space (mekan) and possibility (imkan) are the two kin words in Arabic. When you create a space, you also create a spectrum of possibilities.” said Nesrin Uçarlar, an actrist in charge of international relations of Madrasa. She explained that they preferred the madrasa (college of Islamic learning) concept in terms of architecture since it would allow for a co-learning centre based on a master-apprentice interaction. The dual structure of the madrasa architecture design, which includes both the modes of seclusion and meeting, also attracted them. All living organisms need safe spaces to incubate life. We, humans, are no different. TACT Agora aims to provide those spaces and possibilities to incubate and inspire creative human thought, action and interaction based on trust. Madrasa provided TACT Agorians with an inspirational space to explore possibilities. 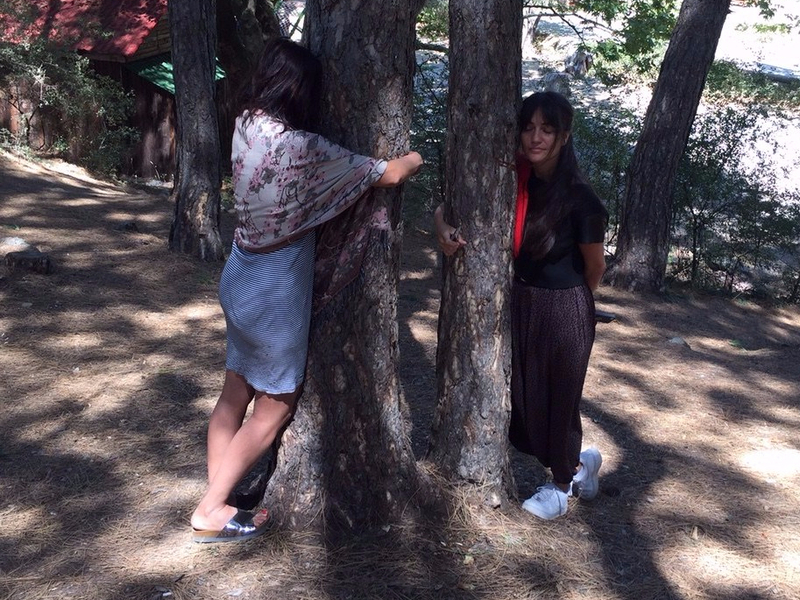 Ahu, Dahlia and Özgür Atanur, a media storyteller and a musician in Istanbul, led a workshop they called “InnerMates” to prototype a process to create a common language without words by which we can manifest our inner world into the physical one. They used the power of sound vibrations and rhythms as well as body movements and dance. Annick Niedner, a lawyer, language teacher and dancer living in Brussels, performed an improvised solo dance. The workshop was effective in bonding disparate individuals around a common non-verbal language. 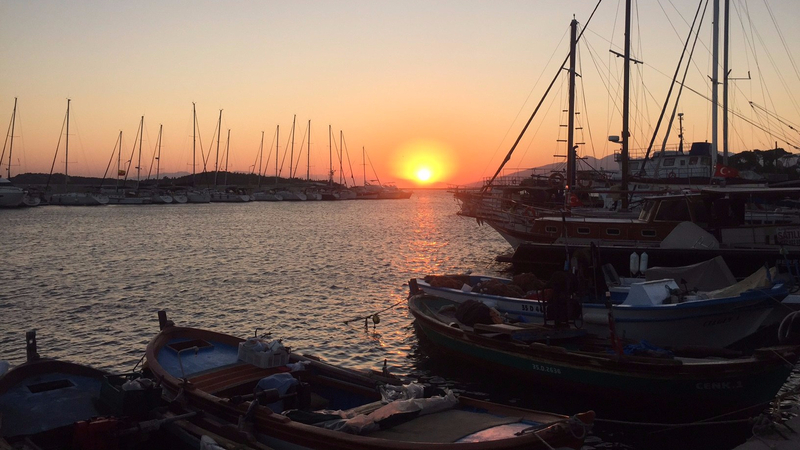 A visit to the neighbouring Nesin Foundation Mathematics Village confirmed the strong connection between the space and the possibilities it creates for a community of trust with a meaningful purpose. One young resident described the Village as a place “not just to learn but to love mathematics“. Small and large classrooms were full of young math enthusiasts. Other residents were organising workshops on a variety of other purposeful themes such as how to mainstream gender equality in society and institutions. The Village inspired all TACT Agorians but particularly impressed Rahel, Ting and Nil Memişoğlu, a sustainable development professional at the UN Office in Ankara, for future actions and collaborations in their own communities and across the boundaries. TACT Agora Co-Learning Expedition programme included interactions with the alumni and volunteers of InnoCampus, a mobile entrepreneurship acceleration programme which also train Syrian refugees. The first encounter took place at a barbecue party on 26 August after the Demo Day of the last graduates. Young entrepreneurs talked about their projects and exchanged ideas with the participants of TACT Agora. As the night went on, a portable stage popped up to sing together songs in Turkish and Arabic, reaffirming the unifying language of music across cultures and nations. 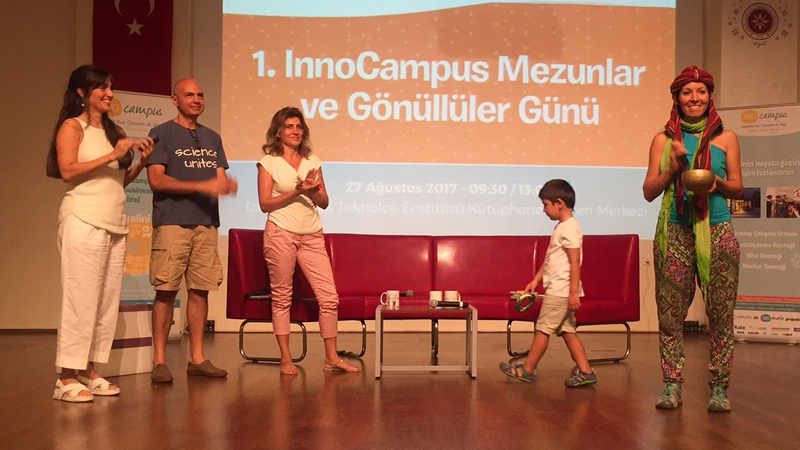 The next morning TACT Agora crew were on stage with two Panel conversations at the First InnoCampus Alumni and Volunteers Day at the Izmir Institute of Technology in Urla. Özgür, Ahu and Dahlia cheered everyone up by their energising musical performance. Ting spoke about the birth of a new age of creativity and collaboration, what she called “Emergent Innovation”. She outlined 7 key patterns that are defining this new age, how we got there and told stories to illustrate how these patterns are at play now and setting the stage for the future, from Burning Man to the Fortune 100. She shared tactical advice for how creators and entrepreneurs today can participate and contribute value in this exciting, ever-complex time. Mazen AbulHosn, Emergency Coordinator at International Organization for Migration (IOM) Turkey in Ankara, and Rahel of Africa Unbound shared their experiences and lessons learnt. Nazlan Ertan, Al Monitor Culture Editor based in Izmir, moderated the conversation. The second Panel Conversation, moderated by Nil, hosted Hakan Habip, Founding Chairperson of Science Heroes Association based in Istanbul, Aylin Gezgüç, social entrepreneur and founder of Arbor Impact, and Birce Albayrak, Freelance Yoga Instructor. 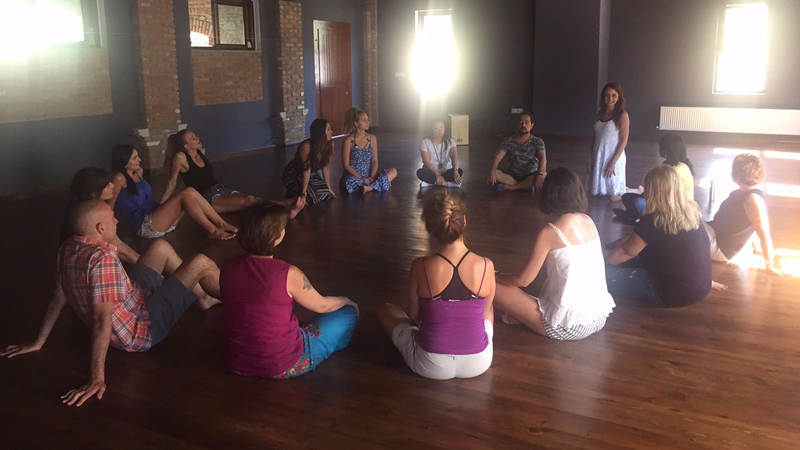 Birce’s “laughter yoga” she performed with the assistance of her 5-year old son raised the level of energy in the room. 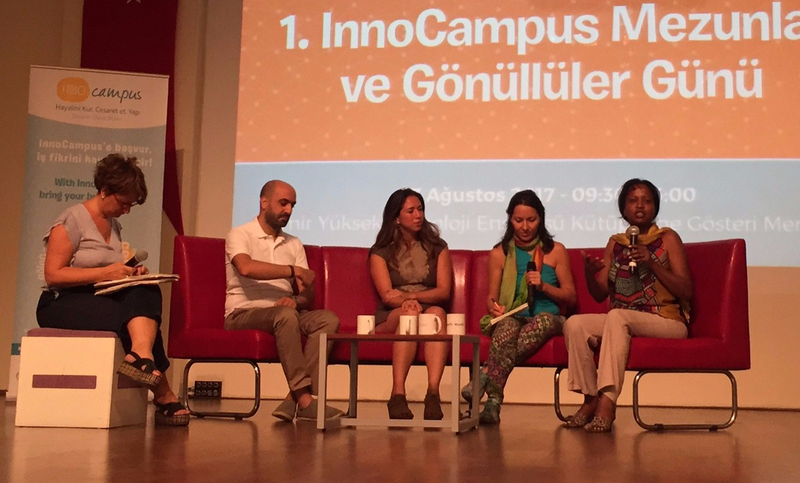 The panel discussions were followed by the stories of the InnoCampus alumni on their personal experiences after they graduated. These interactions gave an opportunity to young entrepreneurs to hear inspirational life experiences of TACT Agora panelists while TACT Agorians had an insight into the dreams and expectations of youth from different countries for the future. That was an invaluable source of feedback on the possibilities of emerging culture of innovative and collaborative entrepreneurship, as a driver of positive change. During the TACT Agora generative conversations, two more key concepts emerged by consensus which would inform the rest of our work to co-create a new community with a new culture based on a new language: balance and service. The importance of preserving the balance between seemingly conflicting aspects of life such as dreams and responsibilities, thoughts and actions, joy and pain, emphasized by Nurgül Selvi, CFO at an Istanbul-based global advertising agency, has been acknowledged by all as an overarching theme and concept which TACT Agora should take into account in its future deliberations. Balance, as the anchor point between trust and service, i.e. between thought and action, would allow the TACT Agora pendulum to swing from one side to another seamlessly. Almost all TACT Agorians seem to have dedicated, or are ready to devote, a part of their lives to the service of others, especially young people or children, inspiring and helping them to find their place in the world. Annick argued that more responsibility needs to be assumed by everyone to raise awareness on environmental degradation in order to protect the planet and the species through action-oriented projects. A trilogy of themes which are relevant for the purposes of TACT Agora will be discussed in each co-learning expedition. The first trilogy was “life, death and meaning” which was not announced in advance to the whole group to keep an element of surprise. Coincidentally, the night before the trilogy conversation, I woke up at 4 am in the morning with an ache on my heart. I thought I was going to have a heart attack and die alone. My phone battery was off and I had no charger in my room, so went out to find someone to call an ambulance but there was no one, except for barking street dogs. Two of them approached me in silence while I was sitting down near the sea in Iskele bay close to the hotel. One rubbed my leg with his head and stayed close to me as if he was trying to keep me alive. Although this kind gesture made me feel better, it was not enough to take the physical pain away. I walked a bit and the dog followed me until I was back to the hotel door. As I went to my room to pick my car keys to find a hospital, the pain slowly disappeared and I fell into sleep peacefully. The next morning, we were driving in our bus towards Karagöl. I knew that there was a cemetery on our way in a village called Örnekköy where I was planning to host the conversation on life, death and meaning. I asked Aydan Bahadır, a personal development expert, hypnotherapist, singer and composer who lives in Brussels, to co-host this difficult conversation. Just before we entered the cemetery, a song from my Spotify playlist started to play in the bus. The song was “Yalnız Ölmek” (Dying Alone) by Can Güngör. I asked the driver to park somewhere distant to the gate. Most of us were not properly dressed for a cemetery visit. We went out of the bus and except those few who already knew the plan were caught by surprise. I was looking for a convenient spot to make a circle and suddenly saw a small grave on which there was a blue rabbit toy. While we were making a circle around that grave in silence, we realized that this corner of the graveyard was reserved for babies. At this moment, words just flew from my mouth. I talked about the night before and my thought about dying alone which somehow reappeared in the form of a song just moments ago. I told the group that I finally understood why I was so passionately devoted to connect people through meaningful conversations in inspirational places. I felt deep inside that all we needed was to be understood and trusted, and out of that comes every form of love. Aydan complemented my words by saying “… even if there may be people around us, essentially we all dye alone“. After a few moments of pray and mediation, we hit the road again on the mountains of Izmir towards Karagöl, and started to sing a popular Turkish song titled “İzmir’in Dağlarında Çiçekler Açar” (Flowers Bloom on the Mountains of Izmir). As we expected, TACT Agora expedition has been a transformative experience for most of us. Our hearts were out there in the open to express who we really are and what we expect from each other and from life. We thought, played, laughed and learnt together. We were like water which takes the shape of the cup and showed resilience in the face of unexpected difficulties. We were able to identify and express difficult emotional issues, resolve conflicts and heal each other in solidarity throughout the journey. What was really promising was that we were able to agree on some collaborative actions. First, we will support each others’ ideas, projects and dreams. For that purpose, we shared the projects we are currently working on and our needs as well as our possible contributions. An “Action” section will be created on the TACT Agora website to list those projects. Second, we will prototype a joint project for a positive impact in a local community. Ideas will be collected regarding the topic of a joint project. One idea already expressed was to address the educational needs of refugee children in Turkey. Other proposals will follow. Third, we will start co-creating a new culture and a new language through stories on the three priority themes we have identified: trust, balance and service. As an initial step, we will collectively write a brief paper, making visible what we have in our minds. We will also collect stories of those who are doing well while contributing to the well-being of the people and the planet. In a post-expedition conversation over WhatsApp, Rahel said to me “This is much bigger than us. We have a responsibility because we have the instruments to materialize not only our dreams but also the dreams of those who came before us.” How can we not trust this prophecy based on our collective experience?